To find a school that will truly make you happy, you have to be honest with yourself about what you really want in a college experience. May first is rapidly approaching and seniors need to choose which college or university they are going to attend. It’s exciting and scary and a bit overwhelming. You’re armed with your college acceptance letters but now how do you choose which one is for you? There are so many different factors that are important: curriculum, size, location, cost, sports, and activities; the list goes on and on. Obviously, people choose to weigh it out differently and some need to choose based on cost, while others may choose based on salary rates and job readiness after graduation or rank. Even so, there are often several good options. So how do you find that elusive “fit”? To find a school that will truly make you happy, you have to be honest with yourself about what you really want in a college experience. Is it the dorms or the food? If you’re a super picky eater, look for a college that has a flexible meal plan and a wide variety of food options. Are you focused on the percentage of kids that stay after freshman year or how many kids graduate in four years? Or is it whether it’s got a good football or tennis team? What about how well it rates as a party school? Or how safe it is? Because all of these are rated these days. Think about who you are and what you want to get out of college. This is tough to do — if you’re anything like I was in high school, you’re still feeling pretty unsure about your future plans. That’s ok, but you should evaluate your interests and personality traits. Are you a hermit or are you going to party it up? If you’re very introverted, for example, you may feel uncomfortable at a big party school or in a city environment? Do you want to be in a small intellectual environment? Are you competitive or more collaborative? What setting do you need? What about setting? You may have a set idea on this, but you may also lean toward something new at first — and then realize that may wear thin. For instance, if you live in the suburbs, a more urban campus may feel like an adventure and pull you. But just be sure to think about after a few weeks or months — will the noise get to you? Will you crave the great outdoors? If you are used to stimulation like the hustle and bustle of a city, but choose a school in a rural area will you be bored and feel penned in — will you be randomly looking for people and things to do at midnight? What do you want from college? As for what you want to get out of college, this can be more complicated, but basically it means thinking about your academic interests and strengths, when you want to pursue sports or theater and any other activities you plan on continuing in college. If you have a unique passion or talent, you may want to choose the one that will nourish that talent. You want to be able to learn and also have fun and be creative. What field of study will you choose? If you have a field of study in mind, then you should go somewhere that has strong academic offerings in that area. You may be surprised at which schools have great programs. A school with an amazing math department and a good ranking may not be the one with a neuroscience department. Just because you haven’t heard of a school doesn’t mean it’s not an awesome fit for you — or that it’s not a “good” school. Don’t get caught up in the rankings, because Forbes rankings are completely different than U.S. News or Princeton Review. It’s kind of crazy when you compare! Will you be able to explore? If you have some idea of your interests but haven’t settled on a major, look for schools that will give you the opportunity to explore your interests further. Check to make sure you can change majors or move into a different department; some schools make that hard. You may not want to lock yourself into any one field of study yet — unless of course you know exactly what you want to do or want a vocational school. If you’re looking at a more general or liberal arts school then you can explore when you get there — you may change majors a few times before you are sure. And that’s ok. You are only 17 or 18; there’s no need to map out your whole life right this minute. For many kids, visiting campus is the Holy Grail. 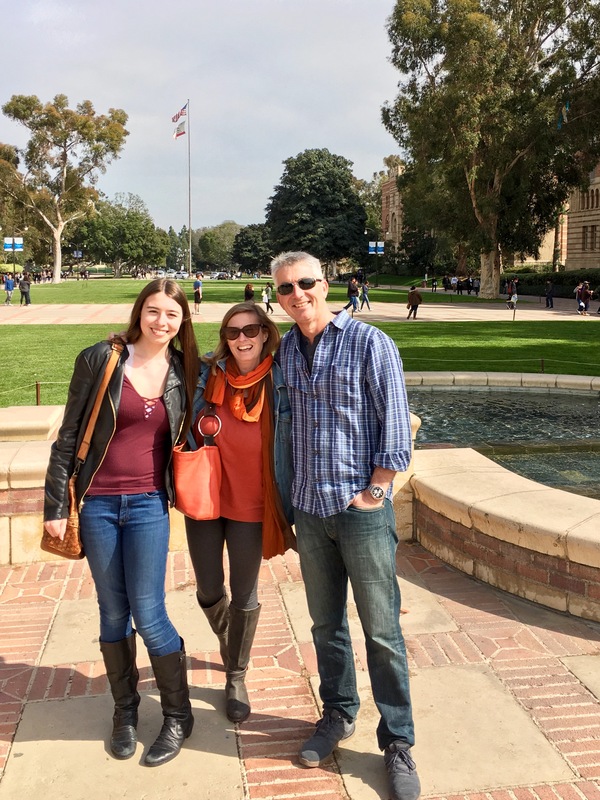 Taking a class or going to Admitted Student days are really helpful for some. Other kids want to wander without crowds. If you can possibly visit the schools, do so. That may very well be what tells you where to go. Try to picture yourself on campus. You might really like the programs and offerings of the school, but if you can’t see yourself there that’s something to listen to. Hone in on that and think about why. Are kids in groups or each person walking by him/herself with earbuds in? Are people outside in the quad or is the campus almost empty? What’s the atmosphere in the dining halls like — loud, quiet, bright, dark? All of these tell you something. That’s where knowing who you are (and your parents knowing you) really helps. When you choose your college, you want to go where you feel good and at home—go for the slipper, not the high heels. College is a big adjustment for everyone so put yourself where you can jump in, participate and flourish. Remember, the overall culture of your college and whether you personally thrive or not will play as big or bigger a role in your future success as your degree.